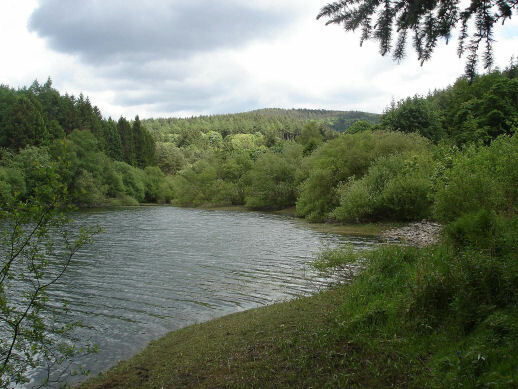 Scenic Macclesfield Forest is situated east of Macclesfield and west of the Goyt Valley. It consists mainly of coniferous trees such as Sitka Spruce and Scots Pine but there are also large patches of native broadleaved trees. 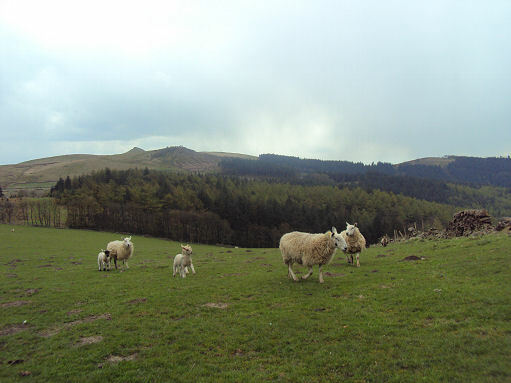 Macclesfield Forest was once the centre of a Royal Forest created by the Norman kings for the purpose of hunting game such as deer, wild boar and wolves. Controlled by the Norman Earls of Chester, it once encompassed all the area from Disley to the River Dane. The forest is home to a small herd of red deer, while the reservoirs contain a wide variety of wildfowl. Woodpeckers, nuthatches, tree creepers, flycatcherd, woodcock and buzzards can all be sighted. 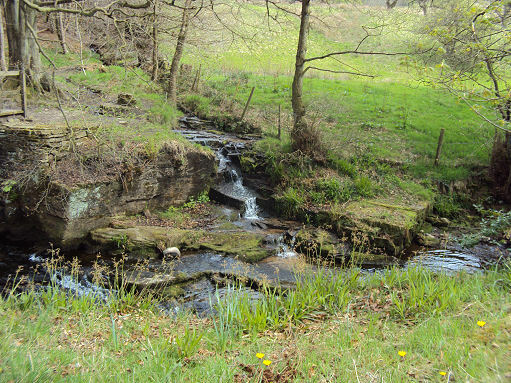 The isolated hamlet of Forest Chapel is situated in a hollow on the ridge between Langley to the west and the valley of Clough Brook to the east. Superb views can be had eastwards up to the Cat and Fiddle Inn, the second highest inn in Britain, bleaky situated on the windswept crest of a ridge which separates the counties of Cheshire and Derbyshire. On a clear day there are spectacular views from Forest Chapel and the nearby hill of Shining Tor which stretch across the Cheshire plain as far as North Wales. The ancient ceremony of 'rush-bearing' is still held at the church The ceremony is performed every August ( the 12th or the nearest Sunday), when rushes taken from the moor are gathered and strewn across the floor of the church. The church dates from 1673, but was rebuilt in 1834. In the porch a list is displayed of the 37 different species of wildflowers which can be found in the churchyard. The church was once used as a set for the television programme 'The Jewel in the Crown'. The mysterious looking Greenway Cross looks prehistoric, but probably dates from medieval times, when it was used as a waymarker by the monks of Dieuacresse Abbey at Leek and has a simple cross carved on each side. According to local tradition, a gallows once stood nearby, where people caught poaching in the Royal Forest met their end. The nearby Hanging Gate pub may mean 'Path to the Gallows', derived from the old Norse word 'gata' meaning Gate. The hamlet of Wildboarclough consists of a cluster of houses, legend claims the last wild boar in England was killed in the area. 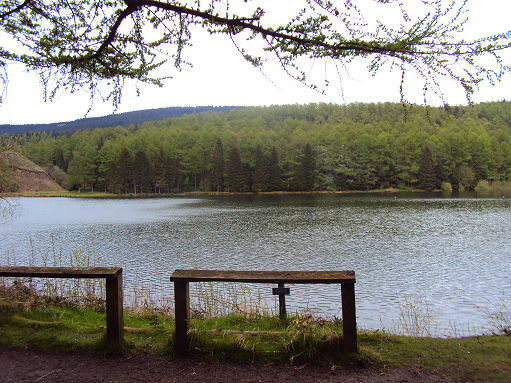 Conifer lined Trentabank Reservoir is owned by United Utilities and supplies the town of Macclesfield with drinking water.The reservoir is a haven for wildlife. 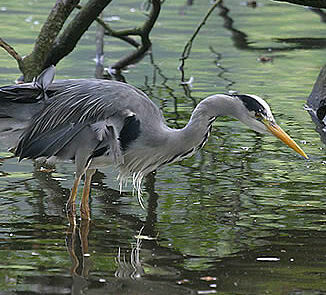 A heronry is situated by Trentabank Reservoir, with around twenty-two nests, it is thought to be the largest in the Peak District. The heronry is visible from several viewpoints, and close-up CCTV pictures of the nests can also be seen in the Trentabank ranger station. The reserve is also home to ravens and various birds of prey. The forest has a herd of red deer, deer can often be seen drinking from the reservoir in early morning. The reservoir banks are a popular feeding ground for small wading birds, including common sandpipers, green sandpipers and little ringed plovers. Occasional winter visitors include Bewick's swan, smew, and crossbill. 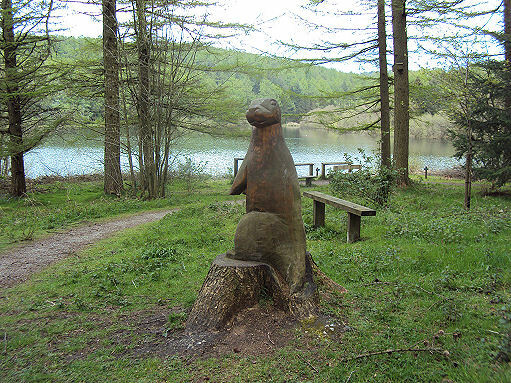 A small lay-by lies at the edge of the reservoir and a large car-park can be found at the Visitor Centre, where leaflets describing various walks are available. The hamlet of Wildboarclough consists of a cluster of houses, legend claims the last wild boar in England was killed in the area. *Commencing from the car park at Trentabank. Turn right out of the car parkand follow the waymark for forest walks. Turn left and follow the path by the side of a wall. *Continue straight on at the path crossroads, following sign to Shutlingsloe. Fork right off the track and exit the forest. Follow the paved track up to the summit of the hill from which there are excellent views. * Cross the summit and take right path down the hill. Bear right as the path joins a farm track. Bear right again at the road and pass the Crag Inn. Take the path on the right that skirts the side of the hill. Bear right again up the hill and join a track along which you bear left. Bear right at the road and follow the path on the right up through Oaken Clough. When you approach a track, turn left onto it, taking the steep ascent up the slope. Turn right through a gate and cross a stile. Turn left and follow the path down to the Hanging Gate Inn. *Turn right at the road and carry straight on when the road turns sharply left. Ater continuing for about 1km the route returns to the forest. Take the right path which is signposted Trentabank. Turn left at the path crossroads back to the road and turn right on the road. Turn right again at the T-junction to the car park.